Any timeframe idea on the alu triple spacers for the s2+ ? Would like to have 2 alu tripple for s2+ , 1 copper s2+ tripple spacer, and 1 copper S2 tripple spacer. Is there a chance to resume selling copper spacer for LEDIL Cute-3 triple X6? I need at least one piece. 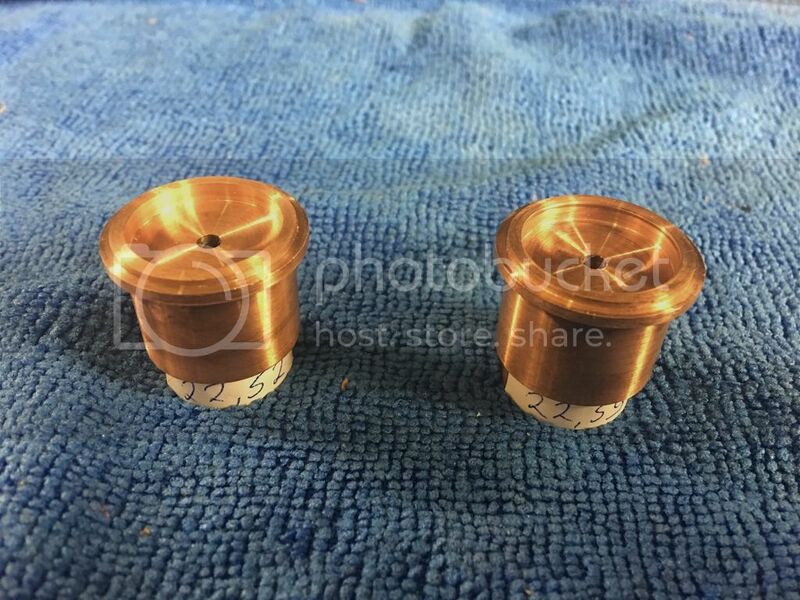 When do you expect to have the X6 Copper spacer for Ledil Cute-3 optics in stock? Ah, missed that one! Thanks! Shipping cost via small parcel is not very good for such heavy things and I can not offer better price than 25$ for 5 of them this way. But if you need 10 or more, contact me and I will try to count more cheap shipping way (shipping cost depends from you destination). For example, 20 of them will cost 60$ shipped to the US. Thinking about full copper pill for Roxane M6 triple. Good price/quality 1×26650 host with big head (XP32 hand sanding – never again!). Head can be attached to the HD-2010 tube. I have a couple of the p60 quad pills in sizes 22.52 and 22.59 for sale. I ordered these by mistake and are located in the USA. $18 each plus shipping. Im interest in one and can you let me know the shipping cost. I’ll take them both if still available! Sending pm. I got my S2+ heatsink, LEDs & MCPCB this week. Everything was packed Extremely well. Thank you so much! Tell us more about that M1 spacer, will it fit the old version of the host, i think they use the same reflector size. Also which pcb and optics for the led’s are needed. All measures are taken from new host. If reflector length, pcb place and head ID are same it will fit old version. It is made to fit Khatod quad optics and TPAD quad pcb. 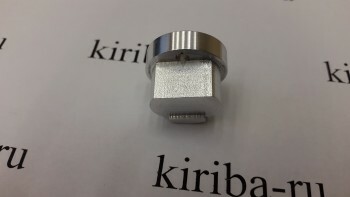 Construction is similar to X5 kit, but steel ring is much thicker and have place for o-ring (29*2mm). I tried to order this size GITD rings and received wrong size items both times. Not sure they are exist so couple of cheap chinese NBR o-rings will be added to each set. For this M1 quad kit is there still room for glass? 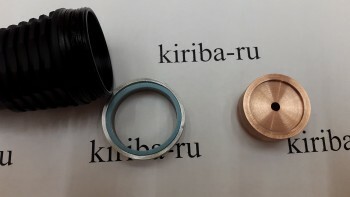 Yes o-ring is pressed between steel ring and stock glass lens. Upd. How does it placed from up to down: bezel-stock o-ring-stock glass-extra o-ring-ss ring-host. This post is intended for buyers from Canada. Canadian post is terrible. I ship items with international small parcel with tracking and 98% of them meet buyers in 2-4 weeks. Parcels to Canada don`t have any tracking info after leaving Russia and 50% of them are lost. I could not expect this. If you are waiting parcel from me more than 4 weeks please contact me and we will fix any problem. If you received parcel from me please contact me to make me sure that you have met with your parcel (I try to monitor all parcels but couldn`t do this for Canada because have no tracking info). If I`m mistaking in Canadian post quality and you know it better please post you experience. From this day I won`t ship parcels to Canada with small parcel. If parcel is lost I can return some money from Russian post, but main problem is that often I have all parts in small quantities and if one unique part is lost it is a big problem in making one more of it fast to make you satisfied. Maybe one of Canada members will be able to accept combined orders to his adress and sent them further. Robert, do you have any tracking info about parcel you had received? When updates had stop and why? International parcels are center logisted. Most of them leaving country in one big city and entering sorting or custom of other country big city. If this processes went good we have very good probability that parcel will arrive quickly and safety. Why thete is no tracking information from Canada post? This is nonsense if Canada post use same method to registed air mail small parcel to all this one $ black letters from ali. “Big country” is just term of populistic politicans suitable to justify any problems. People dont live in areas with density 2-10 man/sq.km in whole country area, they live in medium size places with much bigger density and there is no problem to find airport within 500km near place of any small town. And it is funny when I sent two parcels in same day, one to the Miami and second one two the Novisibirsk region and first one meet buyer one week faster. I promise nothing, but if many things will meet, I will show you how do fins should look like. 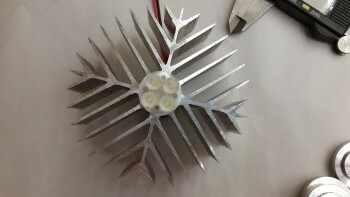 Ok, I can say that we will try to make solarforce and others P60 compatible quad head with big fins area. Without any drop-ins, mid heads or etc. Just bezel, head and extention tube for P60 with tail. Main problem is bezel ring. 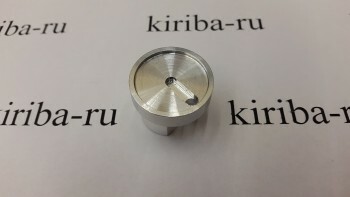 Stock solarforce and other manufactures alu and SS bezels are suitable and cheap, but have thread profile which could not be made by our tools. (I mean internal thread in head to fit stock bezels). Any suggestions? May be it will be available to change design of bezel to external one (ext. threads on head, internal threads on bezel) and make custom bezel for it. On the other side, I am looking at solarforce SS bezel that was bought for $5-6 and understand that it is much better and cheaper that anything we could make. Why there is no tracking information from Canada post. Most major countries have a postal agreement amongst themselves. Canada, USA, Britain, France, etc. An example: USA 350 million people. Canada 35 million people. Obviously there is going to be more mail coming to Canada from the USA than there is from Canada to the USA. This is all kept track of and Canada is compensated by USPS for delivering their mail. USA mail is treated with the same priority and tracking as domestic mail. Canada and the USA (and other European countries) made an agreement to deliver Chinpost mail some time ago to help them out as an emerging third world economy. Basically, we deliver their mail for free, which is why you get all the free shipping. China is no longer an emerging economy, and Canada post is inundated by the output of a billion people shipping their goods and having to deliver it all for zero money. We receive no compensation from China and it costs us millions to deliver their mail. To compensate for China’s free mail, we will have to increase the price Canadians pay for their domestic postage. Canada post decided to put a low priority on China mail and stopped all scanning of it. It is also considered low priority mail and is only sorted when we have time after we deal with domestic and foreign countries we have compensatory agreements with. Since the Cold War, there isn’t a huge volume of mail from Russia yet, and I don’t believe there is a postal agreement between the two countries. I’ve found the mail from Russia is fairly quick, about two weeks, but CPC doesn’t bother scanning any of it. Basically, Russia (and China) collect 100% of the money for postage and the other country is expected to eat the expense of delivering it for free. The amount of Russian mail is fairly minor, but the cost and manpower to deliver mail from Asia is enormous. Pretty soon you’re going to see countries all over the world not scanning and treating Asian mail as a low priority until Asia starts paying its share. Russian post dont have special lines or some other tyles of low cost shippings. Yes we pay full cost, so it is not comparable with chinese parcels. Small parcel air mail with tracking is international method and it works worldwide. There is no difference where did the parcel came from, it has all required marks and should be added to national post system with same (RB…RU) tracking number. If you find you parcel in mail box it means that canadian post recognized it as simple packet (same to chinese) and it went other ways trough country. Yes, it is international mail, and Russia post collects money from you to send it. The problem is, Russia post does not share the money they collect from you with the country that delivers it. I don’t really see this as huge since Russia mail is minimal, but it is a massive loss with China mail. I will check to see if Russia does have a postal agreement, and if they do, someone is screwing up badly. At first I thought it might be getting mixed up with China mail, but that arrives across the Pacific Ocean on the other side of the country. I assume Russia post comes across the Atlantic. Besides not getting scanned, Russia post seems to arrive fairly quickly. I also don’t know if it comes direct, or is routed through another European country.